The Seymour Duncan Antiquity II Mini-Humbucker set delivers classic Les Paul Deluxe tone with rich midrange harmonics and an authentic 60s growl. 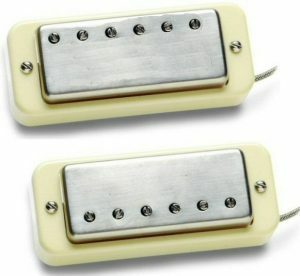 The Antiquity II Adjustable Mini humbucker has a truly unique tonal character. Its midrange emphasis brings focus to the lows, and adds a gritty sweetness to the highs. Overdriven sounds break up nicely with a smooth, warm growl. 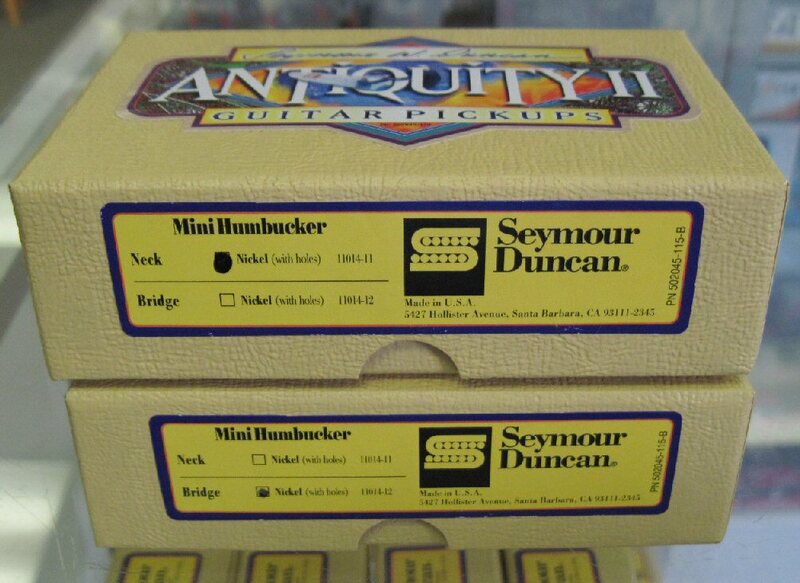 Each Antiquity II Mini Humbucker is hand built and aged to look and sound like the original. 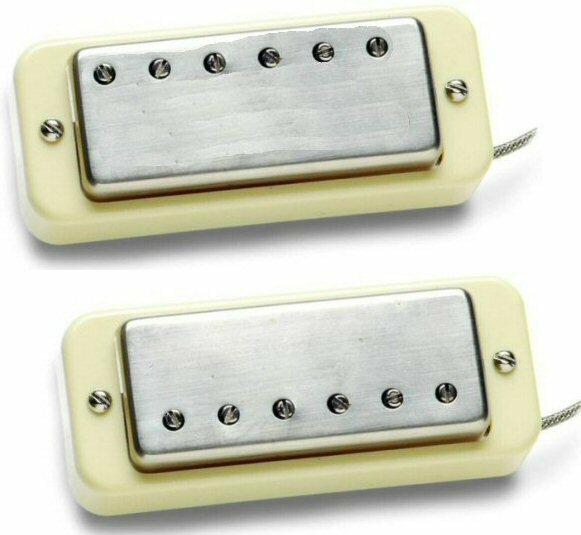 We use a hand cut P90 soapbar cover sized mounting ring, and these pickups mount to the guitar exactly like an original Les Paul Deluxe. 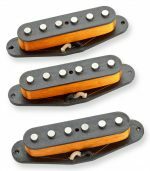 Staying true to the 50s era Gibson pickups, these humbuckers are not wax potted which takes you right to the edge of harmonic breakup.